My first car was Honda Civic. It was a great car and I loved it. Now these days I am driving �Subaru Impreza wrx sti�. A 1978 mini 1000 with a webasto roof. I tried to impress a girl once driving back from an ice skating session in Birmingham when the old brakes failed pulling into a car park.. ( no brake fluid in the lines ) , couldnt change down the box ( synchromesh ) to slow down, so used the handbrake which was about as mush use as an ashtray on a motorbike. Just stopped in time taking out a fence in the process but missing all people..no injuries and only my pride and headlights were damaged. Shouldn't have moaned about it being quiet! Mitsubishi Colt, GLX I have to add. Was propper sh*te. Have moved on in the world since thankfully. Started off well, with a trusty old Landy...... moved up the automotive ladder as earnings more closely matched my tastes. Have plummeted again since I started flying helicopters!!! 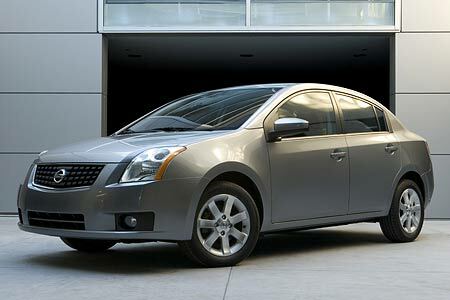 Well it was Nissan Sentra 2008. I got it as a gift from my loving husband was a huge surprise for me and still I drive it up-to-date.